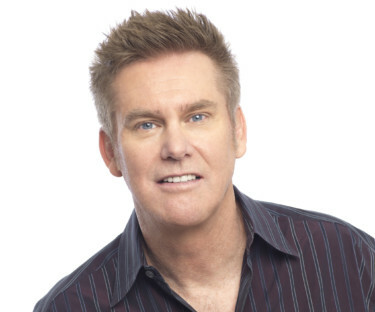 Gilda’s Club Grand Rapids invites you to join us for an unforgettable evening of laughter and entertainment from Brian Regan! the first special in a two-special deal with Netflix, joining Brian with Dave Chappelle, Chris Rock, Jerry Seinfeld and others in multi-special deals with the leader in worldwide streaming. Brian’s second Netflix special is planned for release in 2019. Join us for this one-of-a-kind event benefiting Gilda’s Club Grand Rapids! Fill out the Reservation Form below for Signature Event reserved table seat for Dinner and Show- $250 (includes a $100 tax deductible gift to Gilda’s Club). For table sponsorship, please call Mitch Neubert at 616-453-8300 x111 or email mneubert@gildasclubgr.org. Physical tickets will not be issued for the Signature Event Dinner & Show. Guests will check-in at the event and will receive their credentials & table assignment at that time. The Signature Event Committee will be communicating with all guests closer to the event to collect any additional guest names and provide other information pertinent to the event for attendees. Doors will open at 5:30 PM for registration & cocktails. Program begins at 7:20 PM with show following at 8:00 PM. Seating will be assigned. Please note we are no longer taking dinner and show reservations for this event.